In the skincare industry, there are millions of important terms and products that can help perfect or even worsen your skin. Well, school is officially in session! 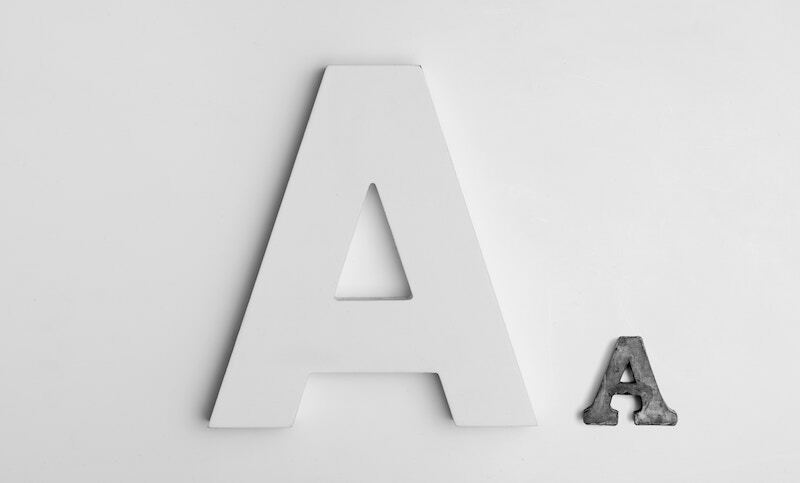 As we have created an A-Z guide in face and body products that include a variety of ingredients, treatments and products you can include in your daily, weekly or even monthly routines. Antioxidants are vitamins, minerals and enzymes that work together inhibit oxidation and help nourish skin cells and repair damage to your tissue. Using products that contain antioxidants, such as nutritional capsules and our Face & Neck Polisher helps protect your skin from lifestyle and environmental factors that can aggravate the skin and damage it. Botox isn’t something required in your routine, nor is it necessary. However, it can be a huge confidence booster if successful. Botox is a cosmetic process that temporarily removes unwanted lines, wrinkles and creases in the skin. It is a highly popular non-surgical treatment that helps treat clients not just cosmetically, but medically too – people also use Botox to treat sweating, migraines, muscular conditions and even some bowel conditions. Collagen is the main structural protein in the skin that gives it firmness and rejuvenation. As you get older, the process is slowed down and collagen is produced more slowly due to ageing, sun damage, pollution and genetics etc. Here at Bharti Vyas, we offer a variety of Face and Body products Marylebone, including our Collagen Serum and Facial Treatments that are therapeutic experiences, balancing hydration and improving the resilience of collagen. If you seriously struggle with skin conditions and nothing seems to work, an appointment with a professional dermatologist might be your best option. They can review your situation and offer you the best advice and product recommendations that will hopefully help improve the condition of your skin completely. When you go for treatments such as facials, the products used extracts clogged pores. An extraction is the process of unclogging dirt, oils and pores from skin impurities. If done correctly, your skin is left clean and helps treat acne. It does NOT give you a permanent result, but it is incredibly beneficial. Whether they are home made or brought from a store, face masks can be really healthy and rejuvenating for the skin. I think every face mask user will agree with me when I say that it mentally makes you feel like you are taking care of yourself. The process of it is very convincing – the relaxation of waiting and the smooth, hydrated skin you are left with is enough for me to invest. Glycolic Acid is an Alpha Hydroxy Acid (known as AHA’s) that is included in a lot of skincare products. This natural substance can help rejuvenate and moisturise the skin. Big benefits involve treating fine lines, acne and overall dullness of the face. It is highly beneficial to your skincare routine, so keep an eye out for it. This is an ingredient used to lighten the skin. It isn’t spoken about regularly, however it can be very beneficial to lightening dark areas and minimising blemishes. Keep an eye out for this ingredient in products if it sounds like something you need to include in your routine. Unlike laser treatments, which emit a particular wavelength, Intense Pulsed Light machinery sends out scattered wavelengths of light, making it a more targeted treatment. Popular IPL treatments include assisting on removing hair, acne or wrinkles etc. This oil is extracted from the seeds of an American shrub, and helps nourish and heal the skin. Similar to the skin’s natural oil, it works to hydrate the skin without clogging any pores and causing damage. You can purchase Jojoba oil from a variety of different health and wellness retailers and we also have a few products on offer containing Jojoba oil, including our Dead Sea Mask and Body Salt Scrub. Kaolin is a soft, white claylike mineral that works to absorb oil and shine from the skin. It’s detoxifying properties is a very healthy choice for acne prone skin, and you can find this ingredient in most masks and clay face scrubs, so keep an eye out for it if interested! Offered by professional beauty salons and clinics (including us), laser hair removal works to remove unwanted hair, skin pigmentations and even tattoos. It uses concentrated beams of varied light to target the unwanted areas, and usually takes a number of sessions for permanent results to occur. As well as offering amazing face and body products Marylebone, you can also check out our latest blog for more information, ‘Our Top 7 Benefits Of Receiving Laser Hair Removal Treatment’. This treatment is done to rejuvenate skin tone and texture back to it’s natural, fresh look. It works on all skin types and colours, and the process generally means the top layer of skin is abraded away. Therefore, if you suffer from dull skin, scarring, wrinkling or plugged pores, microdermabrasion is probably a great treatment for you. Niacinamide is a water-soluble form of vitamin B3, multi-functional and found in a variety of skin treatments. In a nutshell, it helps improve cellular energy and antioxidant protection, and it is a essential vitamin required in our body to slow down ageing and keep the skin nourished. You can find this ingredient in anti-ageing products and moisturisers (mostly). Using the right oils can keep your skin looking vibrant and flawless, just like the Ancient Egyptians did. The majority of people are quite scared to apply oils to their face, especially those that have naturally oily skin. However, with the appropriate oils blended correctly, they can really help rebalance your skin and it’s sebum production. Oils are used in skin treatments, massages and facials to help improve relaxation and rebalancing. Healthy skin has a pH Level of around 5.5. The scale refers to the level of acidity or alkalinity of something, and a level of 5.5 is slightly acidic. It is very overlooked but incredibly important that you know that when it comes to skincare, pH levels matter – if a skincare product has a very high or very low pH level than your skin, it could cause damage. Not sure which treatment is right for you? You can ask us your queries here. One of our biggest recommendations is to go over and reconsider some guilty habits of yours that can be damaging to your skin. For instance, some habits include washing your face too regularly, the amount of products you put on your face on a daily basis, smoking, your diet and how often you pop your spots. Have a rethink about how your lifestyle and daily actions are affecting the condition of your skin. A form of Vitamin A, this ingredient is one of the most popular and effective ways to tackle wrinkles and fine lines that arrive at a young age. Slow down that ageing process by investing in products that contain this, such as certain moisturisers, skin resurfacers and night cream. A very well-known acid found in most effective skincare products, salicylic acid is. Hydroxy acid that works for the purpose of removing excess oils and dead skin cells from the surface. It aids exfoliation by weakening the bonds between cells in the outer layer of dead skin, improving the shedding process. You can find this property in non-prescribed moisturisers, cleaners and toners. Toners are inexpensive, off-the-shelf products you can buy and include in your daily skin routine. It works to shrink pores, maintain pH level, protect and refresh the skin after a long day. Deep reaching rays that do ageing damage to the skin, slowly and sneakily. So, bad news for those natural tan lovers, the sun may brighten your day, but it can be dangerous for the skin (if you didn’t know!) After a while, the sun can cause thinner, drier, more translucent skin. Make sure you wear your suncream! Vitamin A – helps promote healthy vision and skin. Vitamin B12 – helps promote healthy nerve function and cell production. Vitamin C – helps prevent infections and maintains healthy immune system. Vitamin D – helps promote the absorption of calcium. Vitamin E – Acts as an antioxidant to protect cells. Vitamin K – helps prevent blood clotting and promotes bone health. The simplest and easiest way to maintain a healthy lifestyle… water. Drinking a large amount of water may increase your journeys to the toilet, but it has some serious beneficiaries. For instance, the substance promotes hydration from within and out the body, flushes out toxins, helps maintain healthier skin, and overall just gives you more energy and activity for the day ahead. Finally, SLEEP! Sleeping is so good for the body, it builds energy and gives it time to relax, grow and rebuild, ready for the next day. Get an efficient amount of sleep everyday, eight hours on average, to help maintain better body functionality. 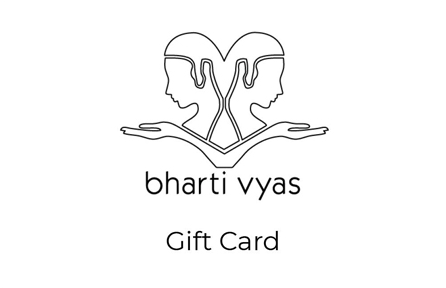 Here at Bharti Vyas, we offer a great collection of treatments, face and body products Marylebone to help you feel good mentally and look good physically. Get in contact with us today to book an appointment.